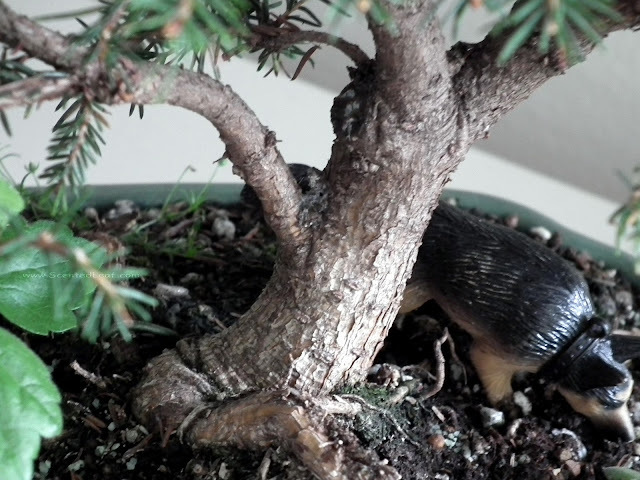 We've introduced long time ago spruce trees in our bonsai's collection due to their sturdiness and forgiveness. We have mostly quite large specimens of conifers which impressed us by their structure. 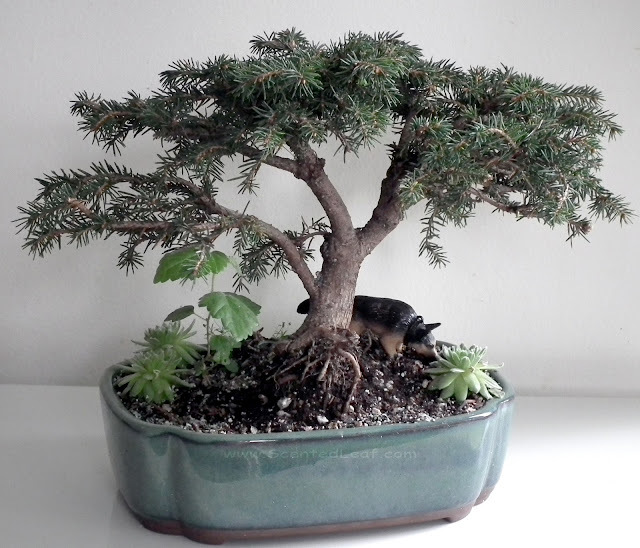 Like usual when choosing a plant for starting a bonsai, we are searching for a dramatic overall looking of the tree or attractive surface roots, or a gnarled trunk with some character continuing to the apex of the tree, a natural looking driftwood and for nicely curved branches evenly distributed into canopy. 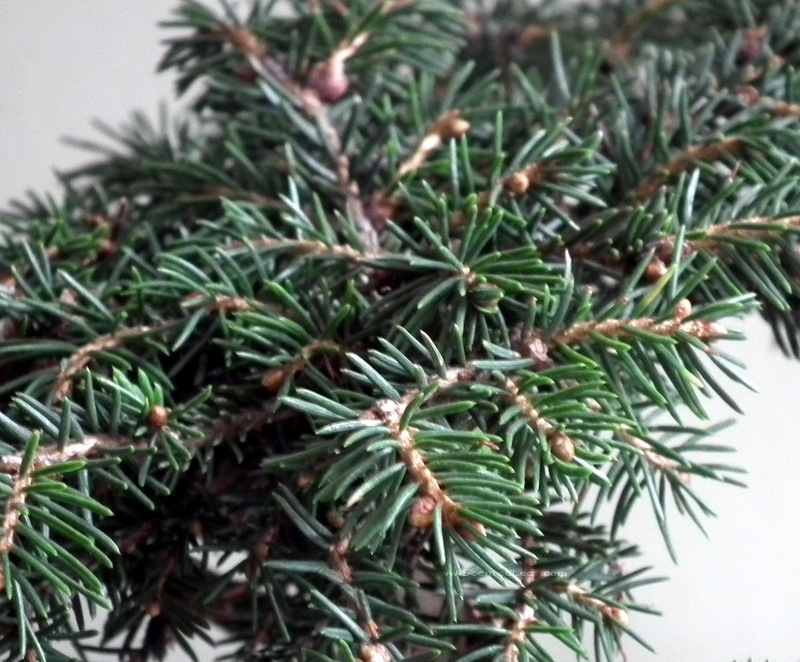 The common alberta spruce (picea glauca conica) dense foliage always fascinated me. Also its upright growing habit, very suitable for training in formal-informal upright styles, determined me to add more and more specimens. 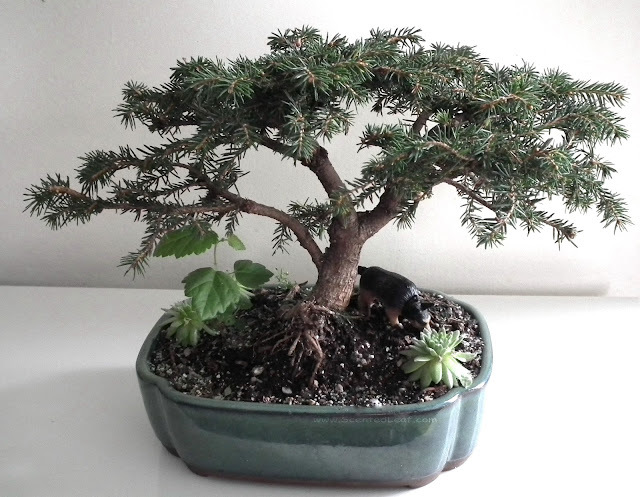 Of course, I really needed to bring some dwarf varieties, thus "dwarf globe spruce" (picea pungens globosa) became my favorite and remained on top of my preferences for long time. Later on I was also attracted by "Bird's Nest" spruce aka picea abies 'Nidiformis'", considering that it is challenging to shape such a "nidiformis" mound. I am convinced that itwas named " Bird's Nest " due to its overcrowded indentation of foliage masses towards the middle of the branches' mound. I like "Bird's Nest" spruce that it readily produces buds on older wood (it is really forgiveness if you decide to change somehow its shape). It grows quite slowly, about 4-5 inch a year, but we prune regular away the outer ends of older twigs (few times a year) to avoid to return it into a ragged bush in few months. 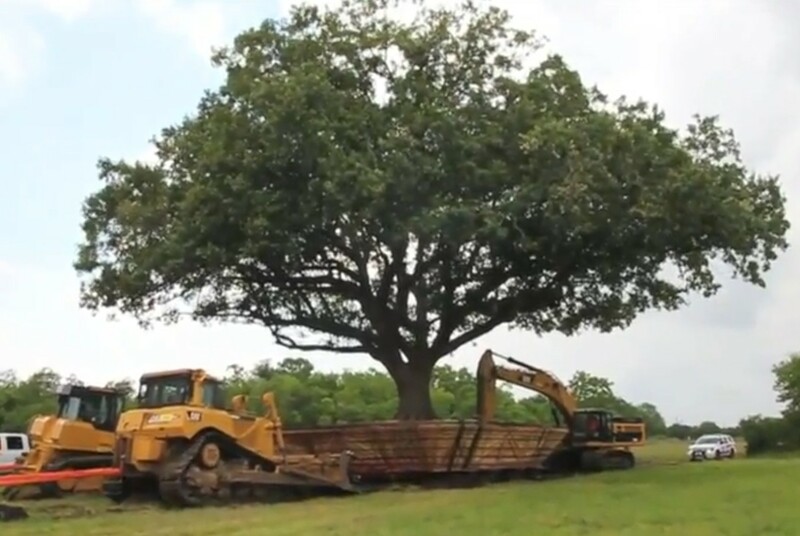 Important is that our enthusiasm grown with the overall knowledge gained in those tries and enabled us to develop with confidence new trees like this one.